Roof: South facing. Pitched and tiled. No shading. No windows. Open to advice on the size of the system needed. Install within 1 month. Contact anytime. Service and make repair to connection which during the winter was causing excessive resistance. Current PV System: 1.96Kw - 8 panels. Faulty - not generating electricity. Repair ASAP. Contact anytime. Roof: East west facing. Pitched and tiled. No shading. No windows on the roof. Install within 1 year. Contact after 12pm. Solar PV: Roof faces South west, Pitched and tiled. No Shading. 2KW PV system with voltage optimization. Timescale within 3 months. Contact anytime. 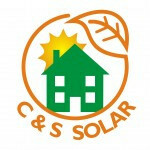 Supply and fit Solar PV: Roof faces. Flat roof. No shading. Advice on size of system. Timescale within 1 month. Contact anytime. Circulating pump need replacing. Otherwise in good order. Details of present pump are available. Solar PV. Roof: Unsure of roof direction. Pitched and tiled. No shading. No windows on roof. Wants a 4kw system Install asap. Contact anytime. LOOKING FOR SHARP SYSTEM. Timescle within 1 month. House. Property owner.